A transitional silhouette, short boots make a snappy statement before the deep snows of winter arrive. Women are investing in the latest “it” accessory in high and low styles. Photography by Melodie Jeng. Rich leathers and shiny metallics render these ’90s throwbacks too cool for school. From strappy and simple to knee-high, gladiator sandals are the clear victor in this season’s street style arena. Like the cultural and fashion epicenter it is, London pulsates with a range of street style statements. 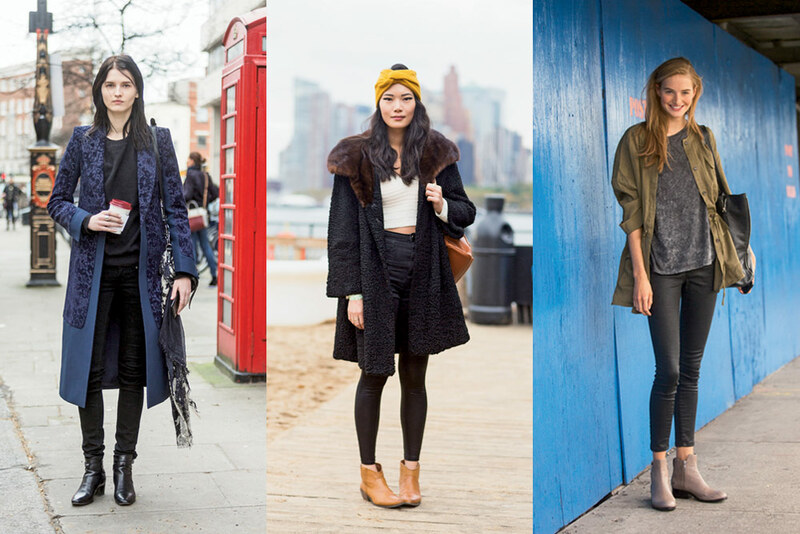 New Yorkers have been bullish about sporting the Birkenstock look this spring. Old-school bomber jackets add a sporty layer to chic ensembles. Street style stars put on a show in Paris with voluminous shapes and accessories worthy of a standing ovation. From New York to Milan, the preppy classic gets a global stamp of approval.